We invite you to get to know the missionaries listed below which are supported by Sardis Fellowship. Rob & Karin arrived in Italy in November of 2016 under the umbrella of Avant Ministires. They write "Our schedules are filling up quickly. On top of our regular activities (language and cultural learning), we are also very involved with the new church here in our neighborhood.....We are still a little short of our budget and are needing roughly $400 per month to make up for pledges that didn’t come through. We are also looking forward a few months and we will be needing a car soon because it is a little tricky without one. If you’re interested in joining our financial support team, or were planning to but haven’t yet, please let us know. Thank you." Watch this short video (4 min) which introduces the Lees and their plans for ministry. To support the ministry of Rob and Karin Lee, by donating through Avant Ministries, please click here. We also invite you to check out their Facebook Group, where you can find regular updates from the Lees. 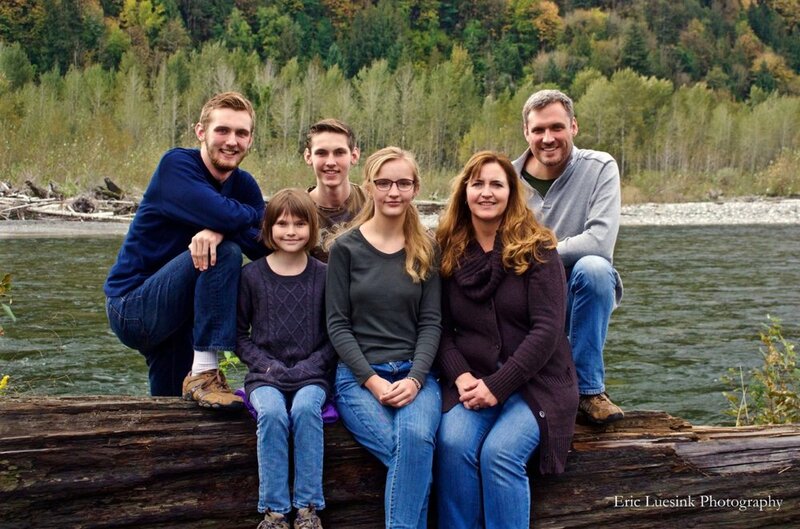 The VanWoerden family arrived in Tanzania in July of 2015 and are working with Emmanuel International Canada. While working in Tanzania they "will build on the success of the simple technology of portable clay fuel efficient stoves that are improving the lives of Tanzanians by introducing complimentary agriculture and forestry interventions to address real needs in rural communities through local churches." We invite you to check out their Facebook Group or their blog for regular updates. The Plants, working under Avant Ministries, arrived in Santa Cruz, Bolivia in April 2017. They are working with a ministry called El Jordan. Specifically they write, "Tim will be working with Marco (Corina's Husband) with men and youth ages 13+, teaching trades and skills needed to make an honest wage. His main job will be to act as a mentor. I will be working with unsupported pregnant and new moms. My role will be educating as well as supporting women through pregnancy, childbirth and postnatal care. We hope to use these avenues to create relationships and share the gospel"
Join their Facebook Page to follow their ministry. Heidi Gladman joined Avant Ministries in 2004 and has been working with El Jordan since that time. El Jordan is a support center for people living on the streets of Santa Cruz. It's described as "a crossing ground for those who desire to change and find freedom from the daily struggles of life on the streets". Heidi works with the children of those who come for help at El Jordan. The Luesink family served with Avant Ministries church planting in Prague, Czech Republic for several years. Since arriving back in Canada in July of 2016 Jon has become the Canadian Director of Mobilization for Avant. We partner with Fraser Health, and several other Chilliwack churches, by supporting Jim Gaetz as the Spiritual Care Director (Hospital Chaplain) at Chilliwack General Hospital. In 2013 our church began a five year partnership with UCI by sending teams to Haiti to finance and help with building projects, outreach, nutrition centers and dental clinics. We plan to send a third team to Haiti in 2018. United Christians International began in February 2005 with JeanJean and Kristie Mompremier's God-given desire to share JeanJean’s seminary training with the lay pastors of the area near Caiman (JeanJean’s home town). What began as a 3 month stay in the fall of 2005, has now grown into a nutrition center, health clinic, elementary school, university, seminary, and training center for medical and agricultural students. Uniting Christians Around The World . Additionally, we are able to support six students currently studying at UCI in Haiti. Sardis Fellowship partners with Ruth and Naomi's in downtown Chilliwack financially as well as through cooking and serving one dinner a month. If you are interested in being involved please contact the church office. RAN Mission employs 15 staff and is supported by 400 people in its volunteer network. The mission provides a family-friendly supper at 6:00pm and an open setting at 7:00pm each night for up to 150 people in the community. Their day-time services also provide a drop-in coffee time from 9:30am to 11:30am weekday mornings, laundry service, clothing distribution and supportive counselling services. RAN Mission also has a 34 bed provincially licensed Assisted Living facility in which operates the 30-day Step-INN Shelter and the longer term Step-Up Residential Recovery Centre for those dealing with life-controlling issues. We are privileged to partner with the Chilliwack Salvation Army both financially and through volunteer support of the Christmas Kettle Campaign among other things. The Salvation Army exists to share the love of Jesus Christ, meet human needs, and be a transforming influence in the communities of our world. The Salvation Army in Chilliwack began in 1924 and today encompasses two ministry centers: the Chilliwack Community Church and the Care & Share Centre. The Care & Share Centre is where we operate all of our social services programs. Some of these include the Food Bank, a homeless shelter, a Soup Kitchen, a Thrift Store and recycling warehouse, and the Homeless Outreach program.